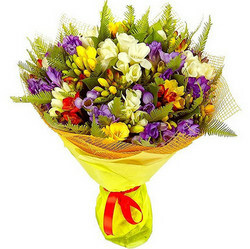 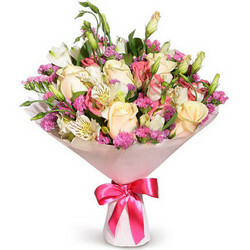 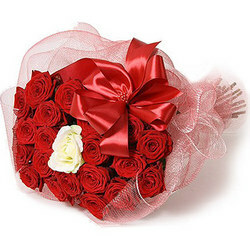 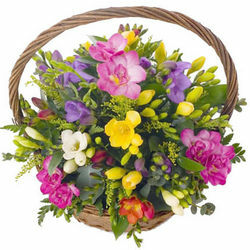 Flowers in a box "Summer"
Elegant Summer composition will be an unforgettable gift and will bring good mood! 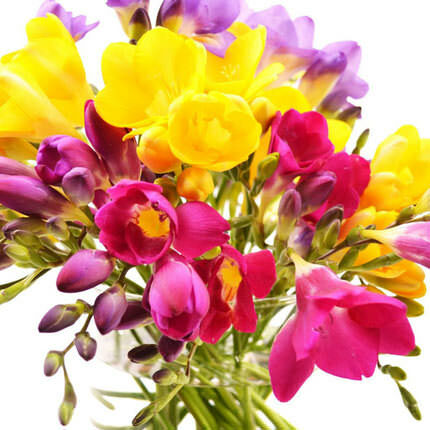 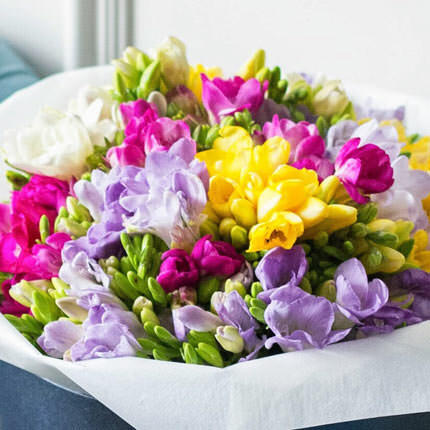 Composition: 25 multicolored freesias, decorative gift box, floral material. 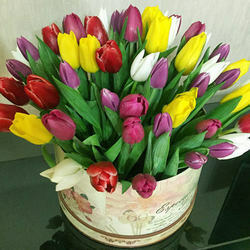 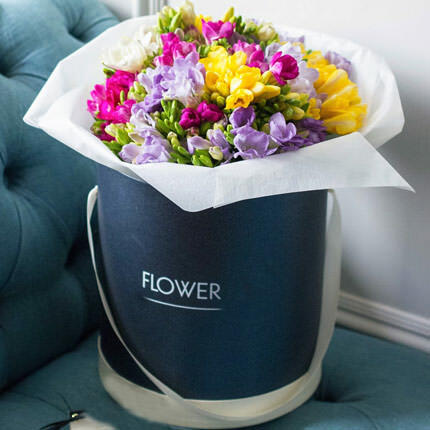 Flowers in a box "Bright Spring"
20032019 © Flowers.ua Flowers in a box "Summer"